Hi everyone. 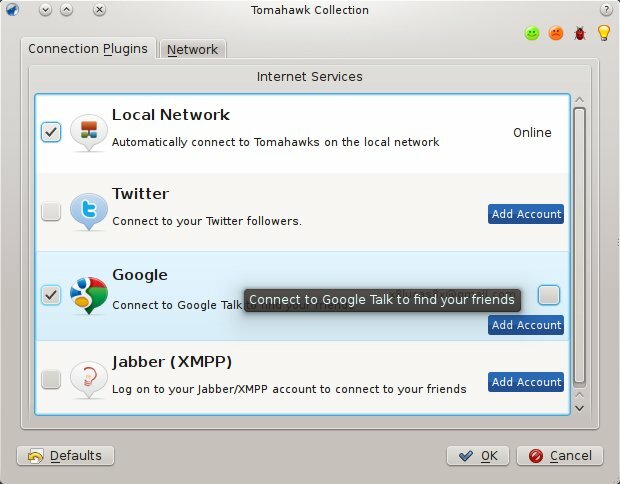 To those who didn't remember, my project objective is to integrate Tomahawk social features with Amarok. 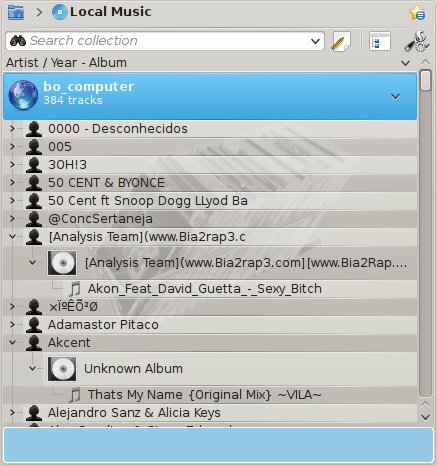 By social features, I mean that Amarok would be able to share user’s music files with online friends, thereby allowing them to listen to one another’s tracks. 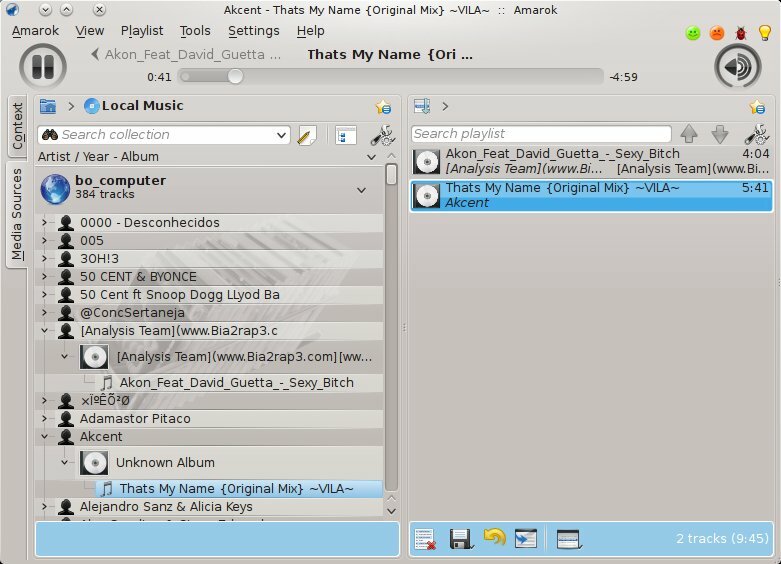 Actually, Amarok is already capable to listen to other peers' tracks, but keep in mind that it still has performance issues. From now on, I intend to improve its performance while I provide support for tomahawk playlists. I guess most of you are anxious to see this project current state, so let me show you how the Tomahawk Service is going to be used in the first place. To begin with, the user will have to enable Tomahawk Service in Amarok's settings dialog. The next step is to add your accounts and/or to choose which of the connection plugins you want to be enabled. You can also change your network settings if you're having connectivity problems. Besides that, you only have to wait while the Tomahawk Service synchronises its data with other peers. 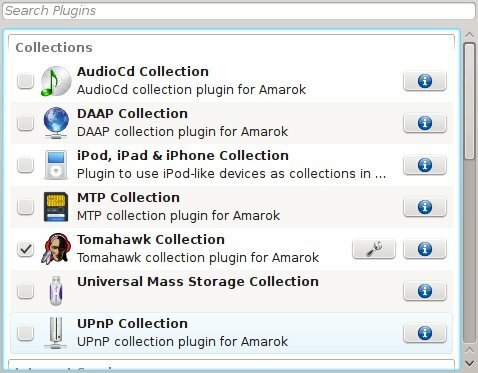 As soon as both databases are synchronised, the other peer collection will be available in Amarok. Here you can see Amarok playing one of my brother's tracks. It's worth pointing out that he was using Tomahawk for windows. And if you still sceptic, then look at this track location to verify that it's not part of my local collection. I also added facilities to control some of the service features. 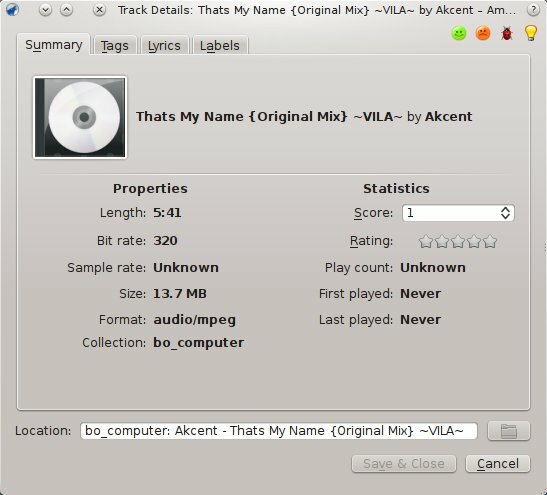 Such as a menu that the user can use to force Tomahawk Service to connect/disconnect its connection plugins or to don't let others to know what you're currently listening to. Last but not least, I was able to pass mid-term evaluations. All these results wouldn't be possible without the support that the community gave me. I'm really thankful to everyone that believed that I was up to the job. Mhm... great, so is it possible now to play one mp3 without consuming 300MB of RAM? At the moment, no. But it's my main priority for now and I hope to have developed an appropriate caching logic to solve this problem by the end of the week. Awesome work :) Do you know what version of Amarok this is likely to end up in? It is a great feature to Amarok! IMO you should call it a non-geeky name like "social plugin". I didn't know what Tomahawk was before I saw http://netrunner-mag.com/?p=1861, and I probably would not know otherwise. I think calling it "social features" or "music sharing" (which would be better, as "social plugin" just suggests it updates your status on FB or tweets what you are playing) or something like that would be FAR better.